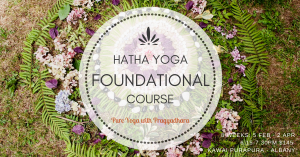 Join this beginner friendly course and build a solid foundation in yoga with attention to personal alignment and breath integration as the backbone to all yoga practices. Deep relaxation and meditation are included for a well rounded holistic practice. Build core strength, release tensions and understand how to correct poor breathing habits. How to extend the principle of awareness into everyday life ‘off the mat’ to counteract stress and tension. Links to home audio recordings and plenty of inspiration and motivation to get you going! Inspire yourself to improved health and well-being that is lasting, empowering and fun. Yogashala is an intimate, natural light filled santuary, nestled in native bush surroundings. Suitable for all levels especially beginners. Mats and equipment supplied but feel free to bring your own if you prefer. 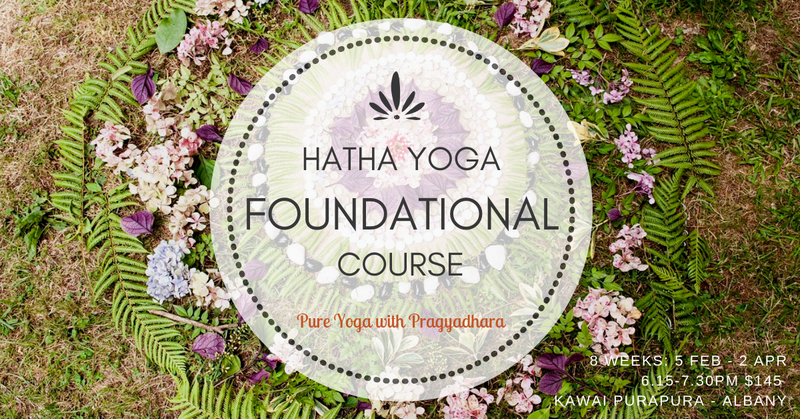 Email: pureyoganz@gmail.com to register and for payment details. I look forward to sharing simple yet profound yoga tools with you.